Each box supplies an extended family of up to 10 people with a tent and lifesaving equipment to use while they are displaced or homeless. The contents are tailored depending on the nature and location of the disaster, with great care taken sourcing every item to ensure it is robust enough to be of lasting value. 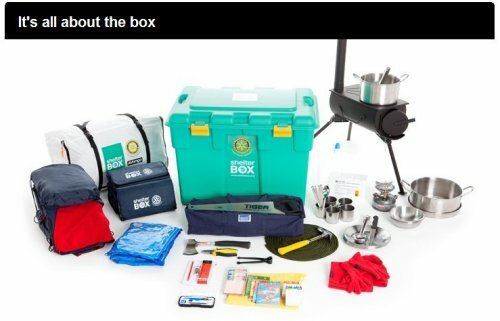 ShelterBox is ideally placed to support the above with regular events, news, stories and imagery of Rotary and Rotarians engaged in 'Service above Self'. 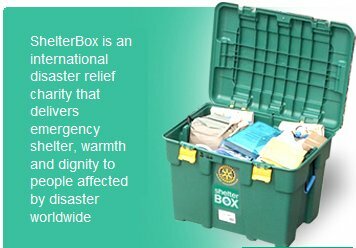 Many Rotary clubs have reported that club support activities for ShelterBox have been very successful in attracting strong interest in Rotary and increased membership.